Over the last couple of months, housing starts have been on a slight downward slope in Texas. During the month of June, the Lonestar State experienced an 8% month-over-month decrease in new residential construction. Out of the four major metro areas reviewed (Houston, Dallas, Austin, San Antonio), Houston ranked highest for total housing starts (2,575), while Dallas continued its lead for higher value construction (average value: $293,613). 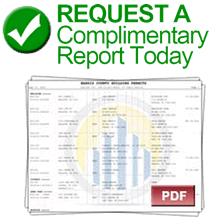 When looking at the builders leading new home construction, D.R. Horton ranked #1 in three out four areas (all with the exception of San Antonio), and Lennar Homes and KB Homes also held top positions on the leaderboard in most of the metropolitan areas reviewed. As per usual, the Houston area continues to lead Texas for housing starts each month. In June, there were 2,575 housing starts with a total construction value in excess of $504M, reflecting a steady market with a nominal (< 2%) month-over-month decrease in new permits. The average value of construction was lower than other metro areas reviewed (~$196k), and more than half of all new construction took place in Harris County (1,478 permits). Last month, the Dallas area experienced a 7% month-over-month decrease in housing starts resulting in more than 2,230 new residential construction permits with a total value in excess of $655M. The average construction value for new homes was approximately $293.5k, and the counties with the highest concentration of housing starts were Tarrant (589 permits), Denton (549 permits) and Collin (536 permits). Austin experienced a month-over-month dip of approximately 8% in housing starts, having 935 new permits with a total construction value in excess of $218.5M on file with HBW. The average value of new home construction was nearly $234k, and more than half of all housing starts took place in Travis County (567 permits). Last month, San Antonio experienced the most significant month-over-month decrease in new residential construction (-38%), resulting in 350+ housing starts with a total construction value of approximately $70M. 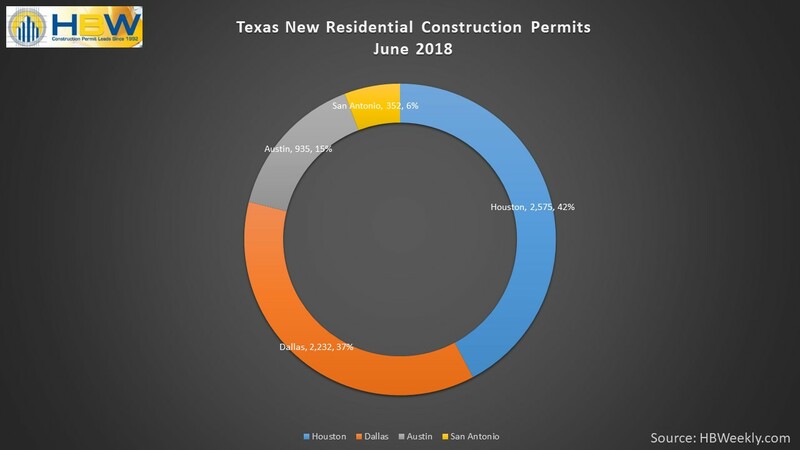 The average value of new construction came in on the lower end of the spectrum (~$198.5k), and the majority of new permits originated from Bexar County (264 permits).